I will have a concert on Sat July 6th. A guest will be Yutaka Oyama ,who is the third generation of the head of Tsugaru Shamisen largest group Oyamaryu. 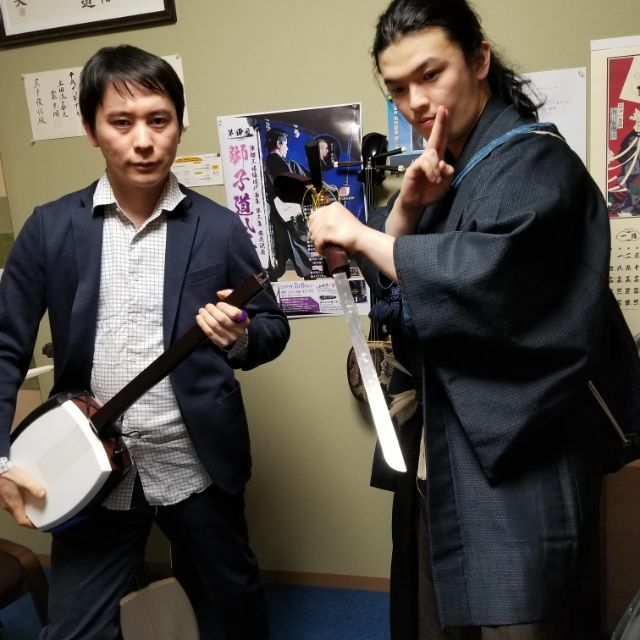 Ninja Seiryukutsu will perform with a Shamisen sword at the concert. He is a professional martial artist who learned from Yoshinori Kono , and appeared in Gekkan Hiden Martial art Magazine. It's a rare chance because it's the only one sword shamisen which can be played.